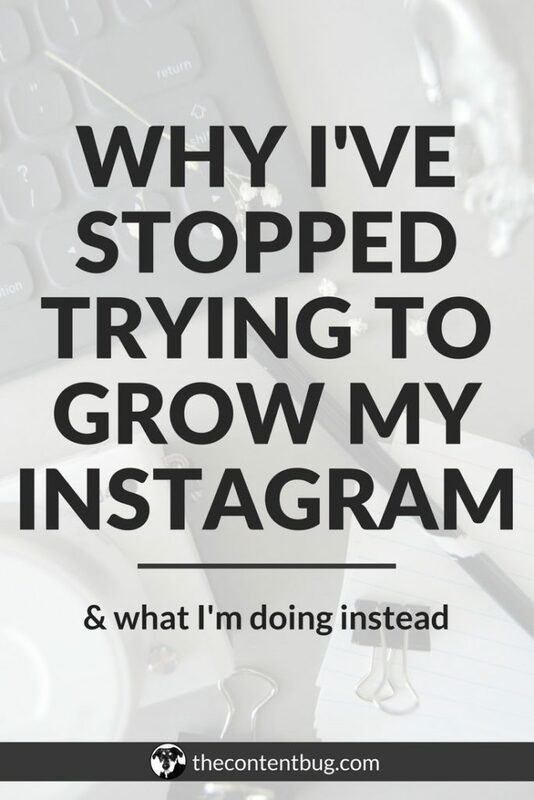 My relationship with my Instagram feed is a bit complicated. When I first decided to start my TCB Instagram account, I had no idea that I was going to create a website. Honestly, I just wanted to share an Instagram account where no one I knew was following me so I could share my photography and thoughts without any judgment. Looking back, I’m a little embarrassed on this mindset. But I can’t change it now. When I was getting started with this account, I knew right away that I wanted all of my photos to be in black and white. I’ve always had a thing for simplicity. And more importantly, just black and white. When I was in high school, I attended every art class possible. And one of the classes we had to completely stretch a portrait and use colors that were bold and completely unrelated. To me, this project sounded like a nightmare. I was more of a basics girl. Let me draw a picture of somebody exactly the way it is only using black and white and I’m happy. So when I finished the assignment and had to come up with a name for it, I told my sister that I wish it was more normal. I questioned why things had to be so complicated. And together, we came up with the title: ‘I wish the world was black and white’. Now to get back to the point… The first 50+ pictures on my Instagram were all black and white. That was my theme. And I loved it! 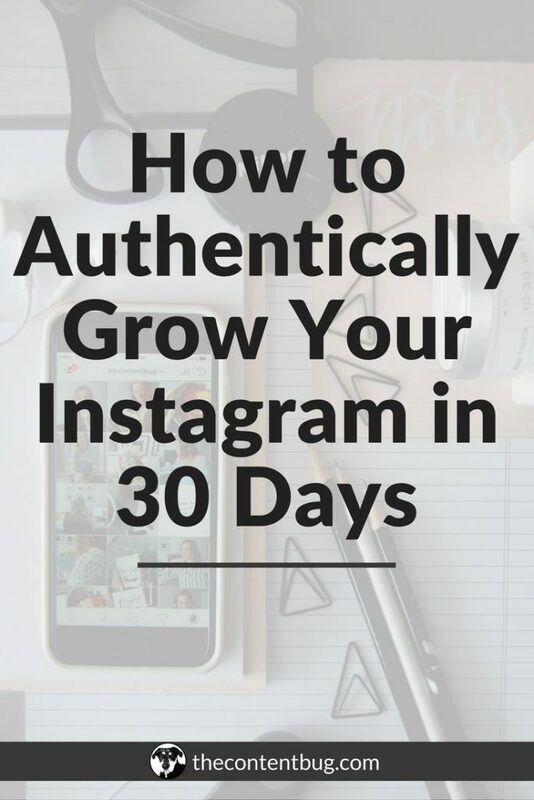 But I noticed something pretty important… all the successful Instagramers that I loved to follow didn’t just share black and white photos. I knew that if I wanted to grow then I had to expand my horizon and come out of my shell a little bit. So I changed my theme. And since then I’ve changed my theme and editing style several times. But I’m finally at a point where I really love what’s going on with my Instagram. So I figured why not share with you! 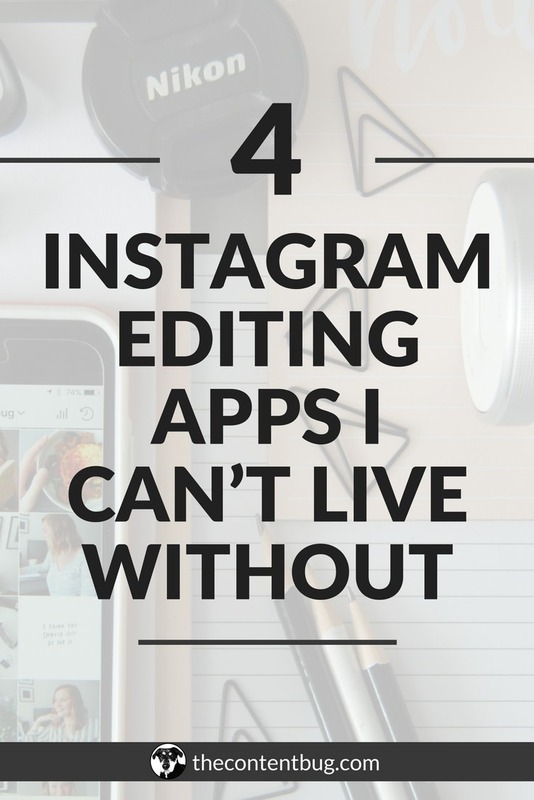 Today I’m going to share the 4 apps that I absolutely cannot live without when it comes to editing my Instagram photos. Now I’ve got to tell ya, all of these apps I use for free! For some of the apps, there is a paid version available, or some tools included can be purchased for free. But that’s a little unnecessary in my mind! And if you want to see me in action using each of these apps, make sure you watch the video below! I just got into Snapseed a few months ago. Before I discovered this beauty, I basically used Facetune for everything. But now I use Snapseed as my first step in the editing process. This app is great to improve the light and color in the photo. And that’s mainly what I use it for. I like to add more light to just about every image and maybe increase the contrast a little bit if it needs it. Then I’ll increase the saturation and decrease the warmth. 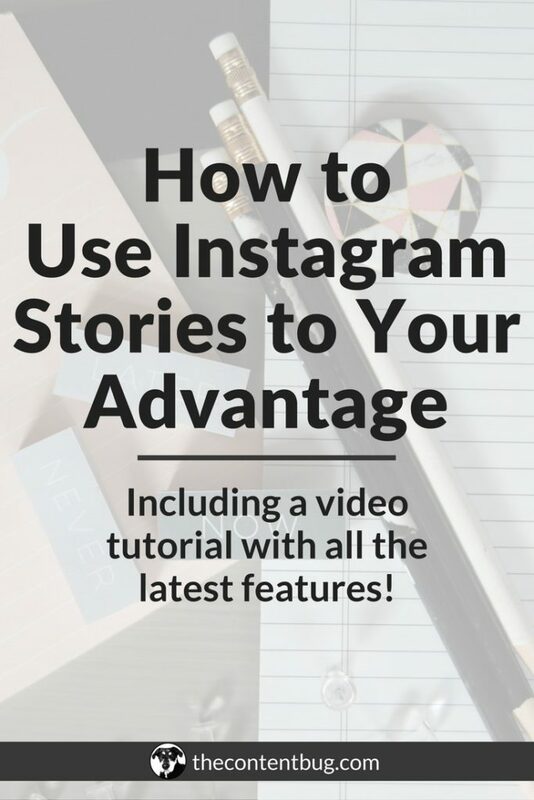 There are a ton of features that you can use when it comes to this app. But I mainly use it for the little details at the beginning stages. One of the best things about this app, in my opinion, is that you have so much control. If you just need to make minor changes or even big ones, this app has your back! Once I’m done with my first edits on Snapseed, I’ll move my image over to Facetune. 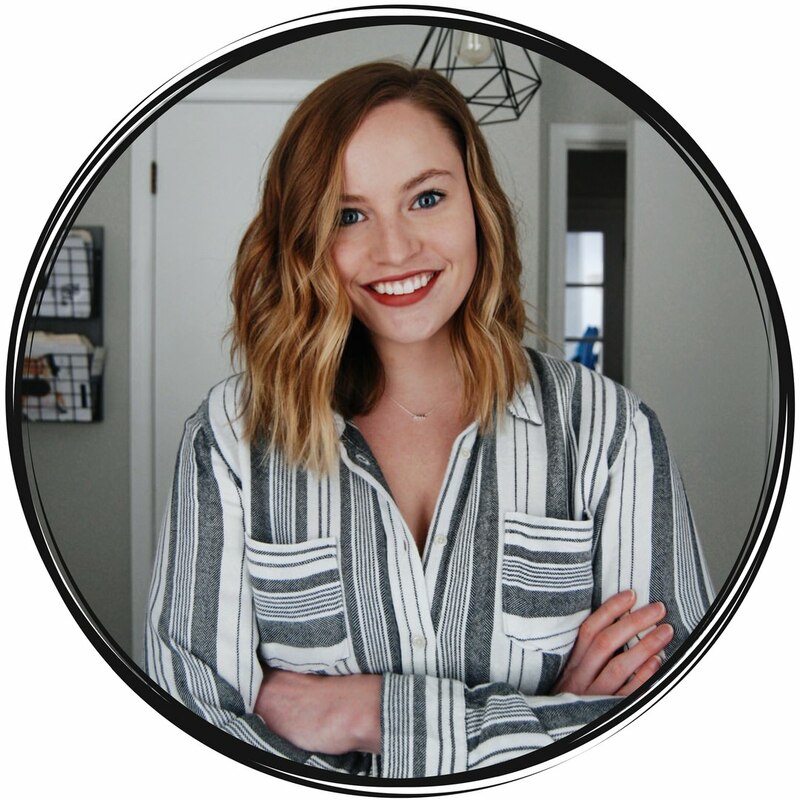 You’ve probably heard other bloggers and Instagrammers talk about Facetune before because it’s all the rage. But I’ve been using this app for a long time now and I love it! Honestly, I consider it my free version of photoshop. 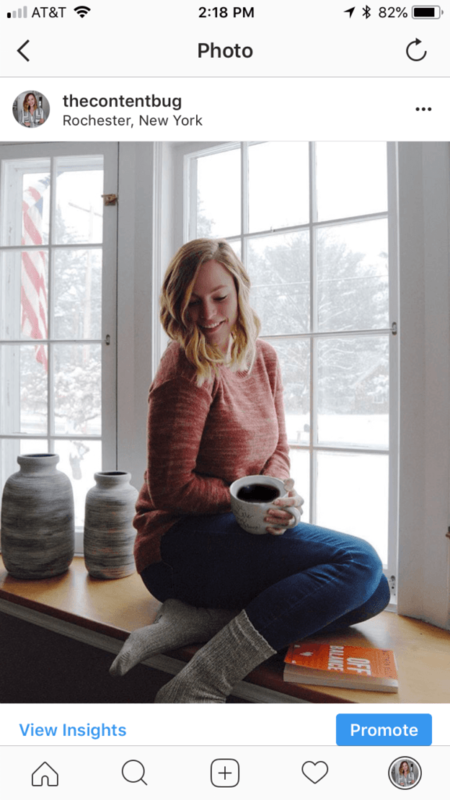 One time I took a photo with a coffee cup and I planned on having it high enough that you couldn’t tell that there wasn’t something in it. But then I decided on a photo where the whole inside of the cup was in view and it was darn obvious that I was just using it as a prop. So used Facetune to make it look like there was liquid in the cup all along! But Facetune is so much more than that. Some of my favorite things to do with Facetune is to whiten areas that need whitening, add details to the objects in focus, smooth the background, remove any obvious blemishes, and paint where it’s needed. But for the most part, all I do is whiten the walls and my teeth a little to make them pop. And then I’ll go in and add detail to my eyes, nose, mouth, hair, and clothing. Just those little changes make a huge difference in my photos! I wasn’t a bit believer of VSCO at first. I downloaded it, tried to figure it out, hated it, and deleted it. Only to then redownload it and use it for every single image I upload to Instagram now. I would consider myself a VSCO beginner. I don’t do anything other than add the A6 filter over my image and change the level somewhere between 3 and 5. That way it’s not too harsh. I believe that this app is what makes a feed look cohesive. Without an overlaying filter, it’s hard to make your photos look exactly the same. But with the filters and the level adjuster on VSCO, it works wonders! Before I ever upload an image to Instagram, I need to make sure that it will look good with the other images. It’s a little ridiculous, but if I know that I’m going to shoot a photo for Instagram, I’ll plan my outfit around what I’ve worn recently in photos. Then I’ll also plan the position of my camera and the pose based on the photos that are going to be around the one I’m going to take. So I take into consideration the one that’s below it and beside it. If I notice that I’m doing too similar of a pose, then I won’t post the photo. UNUM helps me to plan out my feed to make sure every photo I post makes sense with my theme. If you don’t have an app yet where you can preview your feed, you absolutely need one! WHAT ARE YOUR FAVORITE INSTA-RELATED APPS? 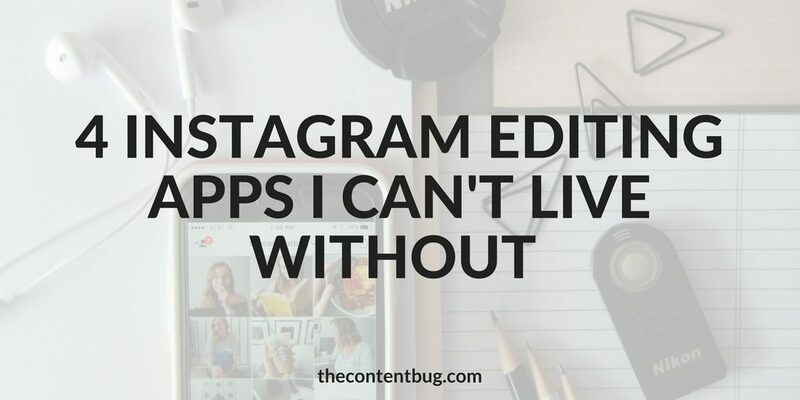 Do you have favorite editing apps that you love to use when it comes to your Instagram photos?! Let the TCB community know in the comments section down below. You never know whose life you could change with a tiny recommendation.